It is important that you seek advice from your local GP, travel clinic or pharmacist 6-8 weeks before travelling to understand if you need vaccines, boosters or malaria medication for your destination. When possible, wear loose fitting clothing with long sleeves and long trousers, socks and shoes. Wear loose clothing that is light in colour. Try to reduce the use of fragrant perfumes and soaps as these can attract mosquitoes. It is important to use an insect repellent day and night, indoors and outdoors, on any exposed areas of skin. 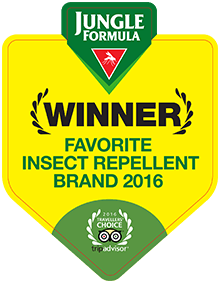 Use a high quality insect repellent containing 50% DEET (Jungle Formula Maximum). DEET can be used by pregnant women as there is no evidence that it has adverse effects on mother or unborn child. DEET can be sprayed on non-synthetic clothes for extra protection. According to instructions on packaging (applying to bare skin avoiding eyes, cuts or wounds). Apply after sun-cream application (SPF 30+) not the other way round. Reapply as necessary, if in an area where repellent is known to wear off at a quicker rate (i.e. warm, humid or wet conditions). If sleeping or resting in unscreened accommodation day or night, or sleeping outdoors, insecticide-treated mosquito nets should be used. Nets are more effective if treated with insecticide. The nets should be free of tears and should be tucked under the mattress. If you feel unwell during or after your travel you should call a doctor immediately. Especially if you have a fever above 38 oC. Inform the doctor about your travel history in the past year. If you are pregnant and have a history of travel to an area with active Zika virus transmission, see your GP or midwife and mention your travel history even if you have not been unwell.